If someone told you they were going to a White Ferns game, my bet is that most of you would express a look of confusion, followed with a “Who?” which is completely understandable. The White Ferns, our international women’s cricket team, is not a household name by any means. On the other hand, you probably know at least one of the following: Black Sticks (hockey); Football Ferns; Black Ferns (rugby union); and Silver Ferns (netball). They are much more celebrated and recognised women’s teams in NZ. What probably doesn’t help the White Ferns, is the fact that they share such a similar name to our other more established teams. Aside from the Black Sticks, were they all allocated by a Fern-obsessed name generator? The White Ferns, however, could soon become a name to remember after NZ Cricket implemented double-headers – the White Ferns playing before the Black Caps at the same venue. This increases attendance to White Ferns matches due to bang for buck for cricket fans and combined marketing schemes. We saw just how effective double-headers were during the recent Twenty20 series against India. Both Kiwi sides won their respected series in entertaining fashion. The White Ferns won all three of their tightly contested matches, with the last two coming down to the final ball. In the Black Caps’ second match of the series, Eden Park recorded a sell-out crowd of more than 42,000. A decent proportion of this crowd also attended the second innings of the White Ferns’ match, witnessing its thrilling conclusion. If double-headers become common practice for international games in NZ, like they have been domestically this season, then it can only be a positive for the White Ferns and women’s cricket in general. 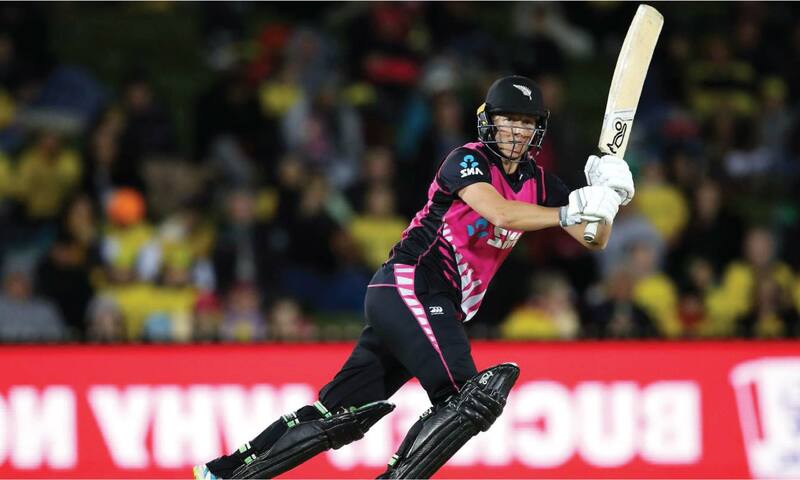 White Ferns Sophie Devine told Stuff that a series win in front of large crowds is a vital experience for the team, and that it provides a major confidence boost for the Twenty20 World Cup in Australia next year. "The opportunity to play in front of massive crowds like this is experience that we need to put in the bank,” said Devine. So it seems playing in front of larger crowds instils greater confidence in the players and provides the experience required to succeed in high pressure matches. There is still a long way to go for women’s cricket to bridge the gap with men’s, in terms of crowd numbers, on-field quality and money generation. And considering that men’s teams generate nearly all the revenue for professional cricket, it’s unrealistic to expect this to happen any time soon. But the women’s game is on the rise, with the top international teams – Australia, India and England – paying their players much higher wages than any other associations. Excluding outside wages, such as the lucrative Indian Premier League, Australia’s top women are on around $180,000 while our highest earner is on $50,000. These powerhouses are investing more in women’s cricket than NZ simply because they generate much more revenue. NZ Cricket can’t compete with this, but double-headers are certainly a leap in the right direction for promoting the women’s game.